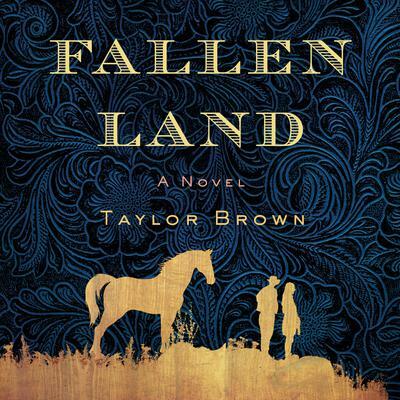 Fallen Land is Taylor Brown's debut audiobook, set in the final year of the Civil War, as a young couple on horseback flees a dangerous band of marauders who seek a bounty reward. Pursued relentlessly by a murderous slave hunter, tracking dogs, and ruthless ex-partisan rangers, the couple race through a beautiful but ruined land, surviving on food they glean from abandoned farms and the occasional kindness of strangers. In the end, as they intersect with the scorching destruction of Sherman's March, the couple seek a safe haven where they can make a home and begin to rebuild their lives. Dramatic and thrillingly narrated, Fallen Land is a love story at its core. With an uncanny eye for glimpses of beauty in a ravaged landscape, award-winning young author Taylor Brown delivers an unusually assured debut.